Technology has made everything very easy. Explore the new standards in 3D printing. If you want to convert your design into reality, 3DigiPrints is right here with its authentic materials for 3D models,advanced processes, printers and printing technologies to serve youbetter. Make sure about everything you get is of excellent quality. 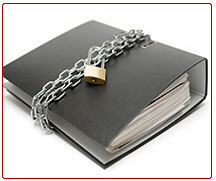 We take care of security and confidentiality in all processes. 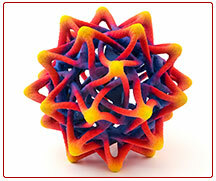 3Digiprints offers you a variety of high quality 3D printing materials. Make your ideas real in different materials like Photopolymer resins and ABS. ABS is strong and tough material with the highest level of dimensional accuracy. Whether you want to develop unique jewelry designs, scale models for architecture projects or landscapes, prototypes of toys or medical devices, 3DigiPrints assures the premium quality materials for all prototypes according to product requirements. We offer different alternatives of materials like detailed, durable and multicolor. You can choose the perfect material alternative for your products. We can help you to choose it. Every business has its risks and security issues associated with it. 3DigiPrints is a leading 3-D printing and 3-D modeling company. Whether you are establishing a 3-D model or getting printing services with us, security is our first responsibility. We understand the importance of valuable designs made by investing a lot of efforts, time and creativity. 3-D printing is an advanced technology solution which is fast, accurate and cost effective than rapid prototyping machines. 3DigiPrints comes with all the latest 3D printing solutions and equipment. 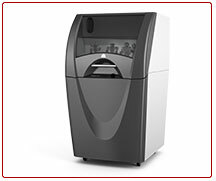 We are AUTHORIZED 3D SYSTEM RE-SELLER. We use MJM technology and printers like PJTM 1500/3510 to offer the best quality 3-D printing services for all types of applications. 3D printing is nothing but changing the designs in its real form. The 3-D printing technology converts digital designs into actual physical objects having multifaceted applications likae prototype, decorative articles, tooling components or finished product parts. Several different processes are part of 3D printing. It is simple to understand the process with its basic principle. The basic principle in 3D printing is converting digital design into thin cross sections and depositing materials on top of each cross section. The process is known as Additive Fabrication (AF).